John Boyega, most recognizable for his role as Finn in Star Wars: The Force Awakens, has a new project called God is Good, which he is producing. Deadline reports that the upcoming movie's storyline is, "set in Cape Town's Cape Flats," and that "the English-language film will follow a reformed gangster-turned-pastor and a volatile detective who cross paths after an act of brutal violence sets them on [a] collision course with a heinous gang lieutenant." 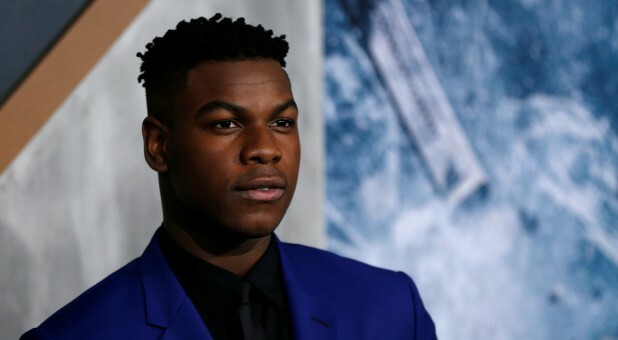 Former Sony Pictures International producer Joseline Ross (Slaughterhouse Rulez) will partner alongside Boyega. The movie will be directed by first-time major motion picture director, Willem Grobler, who currently has film festival shorts and a crime-drama series on his credits. The Star Wars actor said of the collaborative venture, "Willem has written a superb screenplay, and we are looking forward to working with him to realize the vision behind it."